What Is Peter Thomas Roth Instant FIRMx Eye? This product works to change the appearance of wrinkles and lines on your face, specifically around your eyes, while also getting rid of puffiness or “tired eyes”. 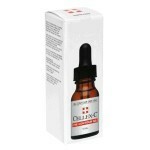 It is ideal to be used at any time of the day or night – any time you want to look younger and fresher. When they say that this is a “quick fix” treatment, they certainly aren’t exaggerating – it takes only three to seven minutes for it to work. What is really interesting about Peter Thomas Roth Instant FIRMx Eye is the way in which it is applied and how quickly it works. Basically, once you have washed and dried your face, you should shake the product up, then apply just a tiny amount to the areas around your eyes. Then, you need to remain expressionless. Don’t smile, don’t laugh, don’t do anything that will cause wrinkles to form around your eyes. During this time you will feel Peter Thomas Roth Instant FIRMx Eye starting to dry and while it does, your skin will tighten. If you are left with a bit of white residue on your skin after it dries, you can simply wipe that away and use less of the product the next time. What you will see in the mirror is a face that is completely absent of the wrinkles you saw minutes before. 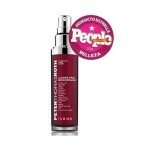 What Will You Read in the Reviews About Peter Thomas Roth Instant FIRMx Eye? There are a lot of women and men who are pretty excited about this product and you will also find that it is pretty popular in Hollywood right now. When you don’t have weeks or months for your moisturizer to make you look better and you want to look wrinkle-free within minutes, then this can actually do that for you. 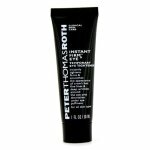 You can sometimes buy Peter Thomas Roth Instant FIRMx Eye in high end salons, aesthetician’s offices, or in some department stores, but the price is usually well beyond what most people would be happy paying. However, when you shop online, you will see that you can buy this product for a lot less on the internet, which brings it down to a more reasonable price for almost anyone. There are times in every woman’s life when she wants to look as good as possible in a short period of time and this is one of those products that can help you do just that. Within a matter of minutes, you can literally turn back the hands of time on the skin around your eyes and easily look five to ten years younger without cosmetic surgery, laser treatments, or the time it takes for most moisturizers to work. “Dragon’s Blood” for Your Face? Is Peter Thomas Roth FIRMx Growth Factor Neuropeptide Serum Worth the Price? How long does it last…how long do the wrinkles stay away????? Hi Linda – I haven’t tried Sudden Changes, but would love to hear which one you like better!